I wonder how long he wore that system. » I wonder how long he wore that system. » » I wonder how long he wore that system. A decent-forelock NW#3 is “WAY bald”? Remember his real buzzed stubble is probably salt-n-pepper grayed too. Frankly I don’t know why he’s been wearing a system. He looks very transplantable judging by the pics. I suppose he could be totally shiny on the crown, but it doesn’t look very likely based on what we can see here. Wearing something for 15 years? No way, his hair always looks so natural to me, he would be the last person I would speculate wearing a hairpiece or something. All I can say is… WOW that’s crazy! I would’ve never guessed. that is some serious recession there, how did he manage to hide it so well and for so long? I doubt he is really losing his hair, take a look at this picture, his father still has a full head of hair, maybe charlie sheen is shaving his head for a part in a movie or something? 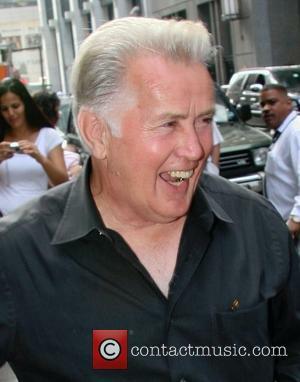 isn’t that picture (right above my post) Martin Sheen (his father)? you probably got Charlie Sheen and Martin Sheen confused. That’s his dad alright. Great actor, imo. But trust me, not everyone is lucky enough to automatically inherit his fathers hair. I have friends who are in that boat and have read many stories on these forums about guys who are losing it yet their 70 year old fathers are NW1s or NW2. Although his hair often looks great in other pics and movies. Geez, losing your hair really does change the way you look, drastically. There is so much more emphasis on his nose without the hair there to off set it. Not good a look for him and he was a stud to start with. What are the consequences for your average looking dude??? He’s like 45 yrs old now. His loss is not that bad. What a great candidate for a hair transplant rather than wearing that silly wig all the time hiding form himself and others. He still has his widows peak and can create a great hairline along the widows peak. His loss is not even near close to being that bad where he needs to shave! It doesn’t suit him. In his second photo he looks like an old man with no teeth. You people are the weirdest, how the hell do you know that he is wearing a hairpiece? He looks balding now but he could look very different if he grew his hair long and add a little bit of toppik. There is really no proof that he is wearing a piece. » he is wearing a piece. its pretty obvious it is a hair piece. you can’t argue with people on here. you could say we are experts in the field of rug detection. no one escapes our rug radar. As I have always felt… hair is very important to a mans look. One poster said it very well that with the shaved head and incredibly thinning sides… his not so favorable facial features are amplified ten fold. Imagine that average joe without a massive bank account and fame… wouldnt be noticed to save his life. No check those photos with his hair and WOW… thats a charming looking man that looks TOTALLY DIFFERENT and far better IMHO. I love this section of hairsite… these famous and cluturally influencial people that are experiencing hair loss and have been captured by photo CLEARLY shows us just how human they are and the differnece a nice head of hair can and DOES make. » That’s his dad alright. Great actor, imo. » That would be rough. » Although his hair often looks great in other pics and movies. Opening credit sequence filmed in 2003. Sure as hell looks like he has more hair in 2010. WTF? Here’s a pic of Sheen arriving at court today. How could his shaved locks grow back so quickly? The only reason he looks odd in the shaved photo is that the top of his head is stark white from wearing that stinking rug. He would look fine to shave it all the way to down with either a razor or number 1 clippers and get some sun on the noggin. I had the same problem in my 20’s, I always wore a hat and never got sun on my head. I thought I would look bad until I finally shaved it ditched the hat and went on… Best decision I ever made! » As I have always felt… hair is very important to a mans look. » wouldnt be noticed to save his life. » man that looks TOTALLY DIFFERENT and far better IMHO. » hair can and DOES make. Sheen has been wearing a hairpiece for more than 15 years. I find it amusing that some folks on other forums can’t plainly see he’s been wearing a piece (not that there’s anything wrong with wearing a good piece). Look at that tan line at the hairline. If that’s not a giveaway, I don’t know what is. Charlie, like myself looks better with hair. Period. Some guys can pull off the buzz cut and others just look creepy (as I believe I would).